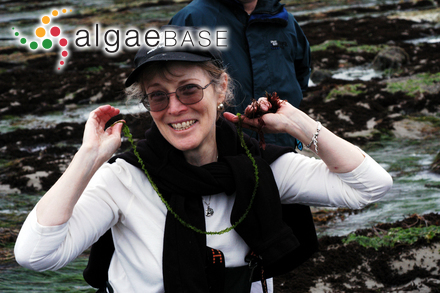 Seal Rock, Oregon, USA; lower intertidal; model is Dr Gayle Hansen. 14 Jun 2003. Michael Guiry. © Michael Guiry (mike.guiry@nuigalway.ie). Published in: Collins, F.S., Holden, I. & Setchell, W.A. (1901). Phycotheca boreali-americana. 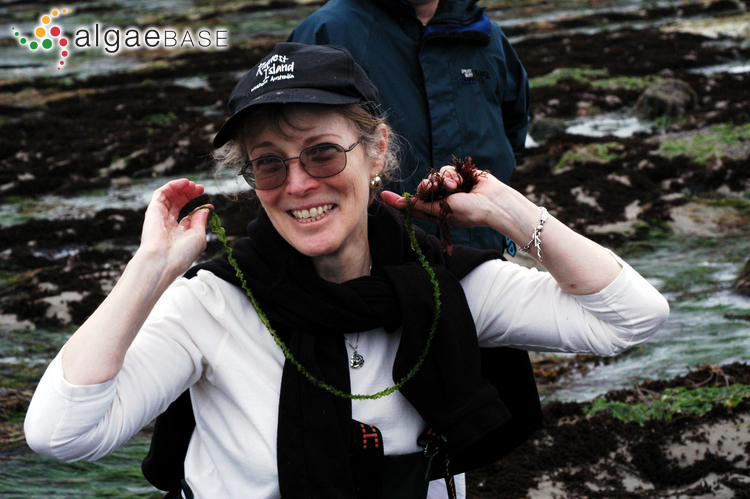 A collection of dried specimens of the algae of North America. Vol. Fasc. XVII-XVIII, Nos. 801-900. Malden, Massachusetts. 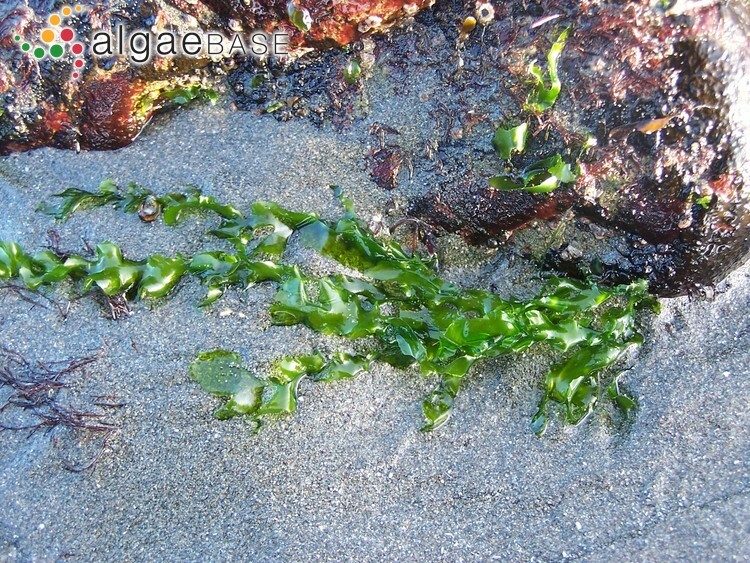 Type locality: Monterey, California, U.S.A. (Silva, Basson & Moe 1996: 752). Type: UC (Womersley 1984: 149). Accesses: This record has been accessed by users 1102 times since it was created.